From this material you will learn how to cut drywall, besides this we will look at how to cut drywall and make rectangular and round holes in it. To do this, you will need several tools and knowledge of the basic methods of how to do this. In addition, we will show how to efficiently use materials so that there is less waste and at the same time get excellent results. From our experience, we know that although the cutting process is not very difficult, but in order to master it, we will need patience. An unsatisfactory result may be due to inaccurate measurements, the use of wrong materials and tools. To learn how to cut drywall best, read this article for tips on how to avoid common mistakes. if you need to cut drywall along a complex trajectory, then first cut the length and then the width. Remember that in the process of working and fixing drywall it is very important to use as many whole plates as possible. So you reduce the cost of materials, work will be less, and the process of covering will go faster. Therefore, you need to carefully measure and study the surface with which you work, and then draw up such a plan for using plates so that they should be cut as little as possible. 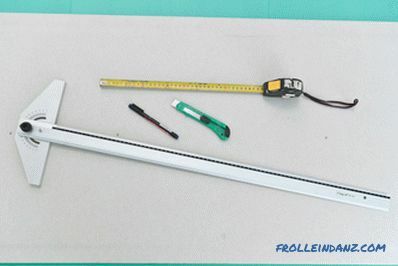 If you need to attach drywall to a larger area, we recommend using 3.6-meter boards instead of 2.5 meters. So you will save time and material. # 1. To professionally cut drywall, use quality tools. 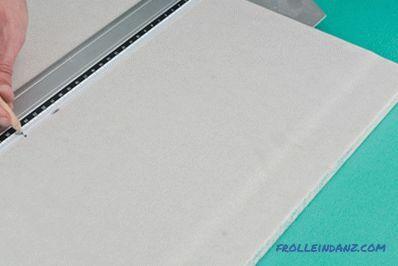 If the sheets are large (120 cm wide), then it is better to cut them, leaning against the wall at a slight angle. 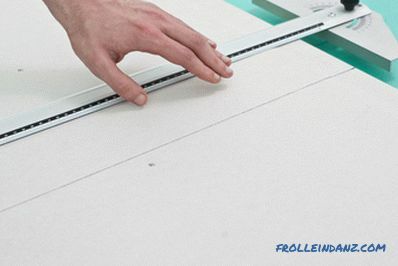 And small sheets (up to 60 cm wide) can be cut on the floor. If you are cutting a drywall for the first time, then it is better to practice doing it on the floor. In the beginning, you need to decide which side to cut the drywall. To do this, make sure that the sheet of drywall is facing towards you. It is on this side that the incision will be made. 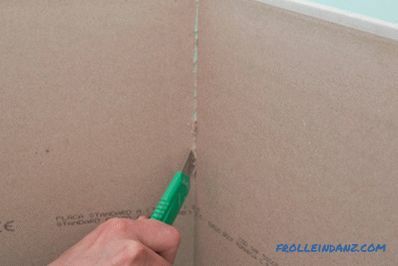 If you don’t know the best way to cut drywall, then from your experience we can tell you that in most cases, it’s best to use a good stationery knife. But sometimes you have to use other tools. 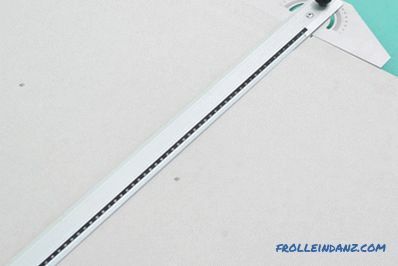 For example, a hacksaw for drywall, it is convenient to use for cutting holes of various shapes. The minimum set of tools you will need when cutting drywall. Smart advice. If you cut drywall by placing it on a wall, then lay down a few wooden bars. This will ease the cutting process and save your fingers from damage. # 2. 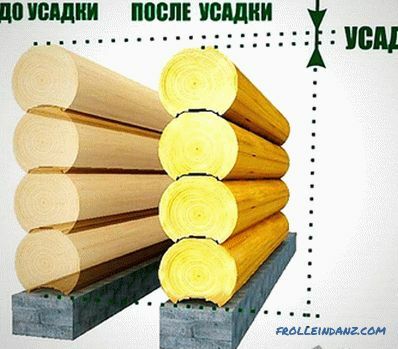 To begin with, it is necessary to determine the size of the cut plate using a tape measure. Do this very carefully, otherwise the stove may simply not fit - it will turn out to be either too small or too big. Also make sure that the vertical edges are aligned to the center of the batten, otherwise the joints of the plates will not be rigid enough. 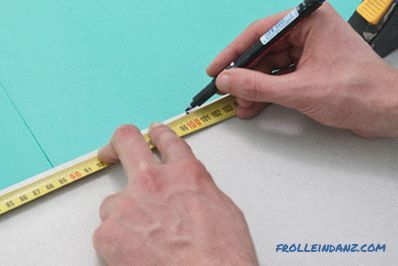 Measure with a tape measure and make a mark in the right place with a pencil. In our example, we want to cut the slab in half, so make a mark in the middle. 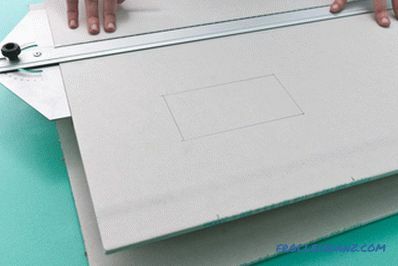 Layout of a drywall sheet. Smart advice. It is very important to make accurate measurements, otherwise you will spend a lot of time and money to correct the errors in the joints. Be especially careful when you work alone. # 3. To get the perfect straight cut, use the crossbar. 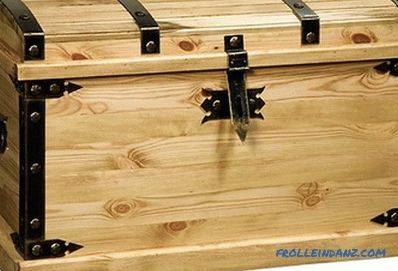 If you want to achieve the results of a professional level and you have to cut drywall often and often, then we advise you to get a big cross and do not use homemade or handicraft tools. Move the tire on the drywall until it reaches the desired mark. # 1. The gypsum plasterboard consists of two layers of paper, which on both sides cover a thick layer of plaster. 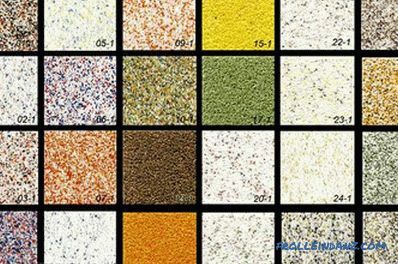 This combination creates a relatively durable building material, which is also fire resistant. Therefore, in order to get an accurate and high-quality cut, it is enough to walk around the plate with a sharp knife and then break it in this place. 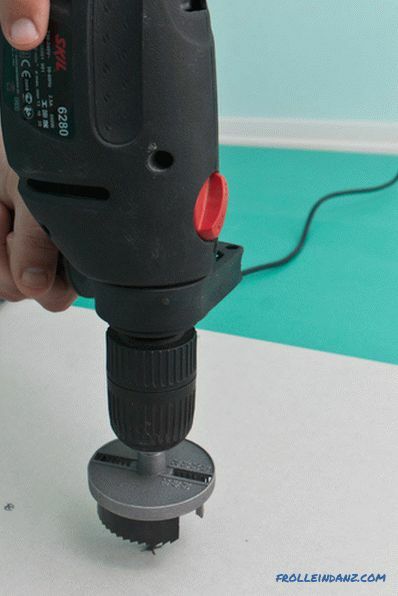 To make a cut, slide the knife on the drywall sheet from top to bottom several times. 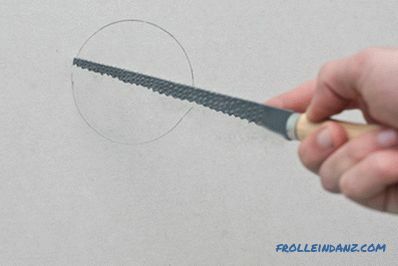 To make the right cut, you need to lead with a knife confidently, without jerks and exactly along the marked line.Cutting the paper layer, you need to firmly hold the tire in one position, otherwise the cut may be uneven. 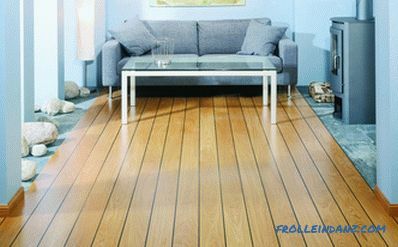 The same procedure should be performed if you rarely drywall is not leaning on the floor, but leaning against the wall. Holding the crosspiece below with your foot, slide the knife over the drywall several times from top to bottom. No need to cut through many times, so you just dull the blade of the knife. Sheet with a cut through paper base. As seen in the picture, the cut should be completely flat. Otherwise, you will not be able to break the plate evenly. The goal is to completely cut through the paper layer and lightly grab the plaster. # 2. Now we need to break the slab along the notch. If you have completed the previous steps correctly, then the drywall should break along the cut. Holding the sheet with your feet, just fold it. The options for how you will make the breakdown of course weight. It is rather difficult to explain all these procedures with two sentences, but we assure you that in practice it is very easy to do. The most important thing is to make the right cut. How you break it is not important. But if you find it difficult to grab a large sheet with your hands to bend it, then press it down with your knee. If you are not sure that you can cut the slab well, then first practice on sheets of waste. # 3. 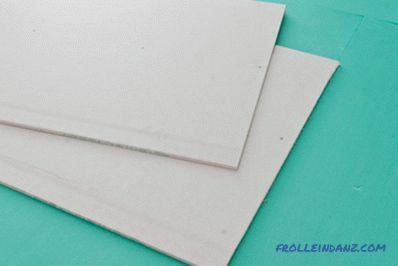 After the sheet has been broken open with a stationery knife, cut the paper layer from the back of the gypsum board. 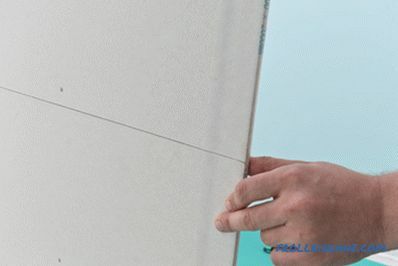 If you have broken the plasterboard correctly, then you should have no problems with cutting the backing paper layer. Cut the layer of cardboard from the outside. # 4. Attach the cut plate to the attachment point to see how accurate the cut was. If the cut-off plate turned out to be a bit more, then use the rasp to remove excess material. Remember that working a rasp, you make a lot of dust. So try to make accurate markup. Next, we'll tell you how to make a hole in drywall. It is very important to learn how to make holes in drywall, as this is often needed to install new outlets, switches, and other devices. In addition, it is necessary to cut round or rectangular holes in order to carry out repairs of damaged plasterboard sections. Although it is quite simple to cut holes in drywall, it is necessary to use certain tools and some skills in order to do this professionally. Therefore, we advise you to work with caution and to follow our step-by-step explanation precisely before taking up work. to cut a hole in the drywall, wear a respiratory mask. # 1. Determine the place on the drywall where you need to make a hole. If it is supposed to install an outlet in this hole, then in the necessary place you need to attach a box from the outlet and draw its outline. To do this, use a tape measure to measure the distance from the left side of the plate to the left and right edges of the box. Also measure the distance from the bottom edge of the plate to the extreme upper and lower points of the electrical box. Given these dimensions, with the aid of a rail, mark the location of the hole for the box on the plasterboard. Mark up the sheet and determine the place for the hole. # 2. 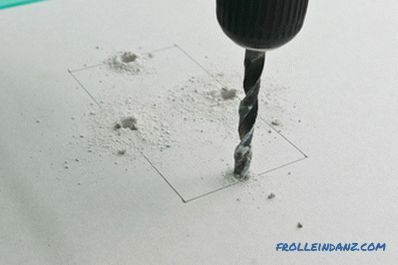 With a large-diameter drill, make 4 holes on the sides of the rectangle. As can be seen in the picture, the holes need to be made inside the rectangle and as close as possible to the cutting lines. We drill holes in gypsum plasterboard for an electric jigsaw blade. Smart advice. You can drill holes not at the sides, but at the corners of a rectangle. The holes must be large enough for the jigsaw blade to pass through. # 3. While inserting the jigsaw into each of the holes, cut a rectangular opening. Do this with great care, making sure that the file goes exactly along the lines drawn. 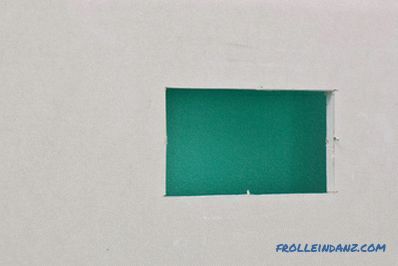 Cut a rectangular hole in the drywall. Smart advice. Wear a respiratory mask to avoid breathing dust.It is better to make the hole small rather than large, since the surplus can always be removed with a rasp. # 4. After you have cut a hole in the drywall, you need to check its suitability. To do this, insert a box from a switch or socket in the hole made to see if everything is well done. Smart advice. You can cut holes in already installed plates, but here you need to take into account something. Before doing work, make sure that there are no pipes, wires or other communications in this area. # 1. First you need to determine how you can cut a hole in drywall. There are several ways to do this. 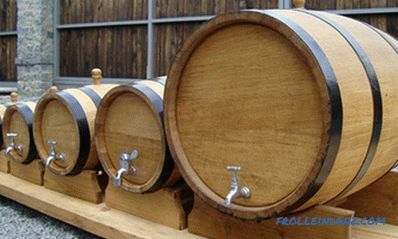 To do this, for example, use a crown, ballerinku or a small hacksaw. We advise you use the crown, which is attached to the chuck electric drill. It should be said that this is the fastest and most accurate method. 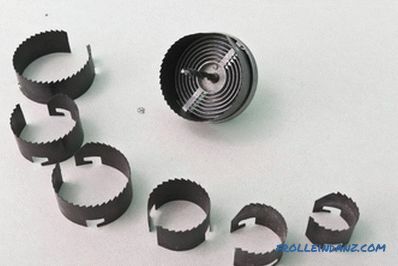 It can be used to cut through small and medium holes. A set of crowns that can be used to cut holes in drywall. Before you start to make holes, you must make the appropriate marking. For this you need to identify and outline the center of the future hole. We plot the center of the future hole. # 2. Select the crown of the required size and fasten it in the drill chuck. Now place the drill bit in the center of the hole being cut and start drilling. For a quality hole, we recommend cutting at medium speed and gently pressing the drill. Smart advice. Do not press too hard on the drill so that the nozzle does not get stuck in the cast. To make the hole quality, you need patience. Method 1. 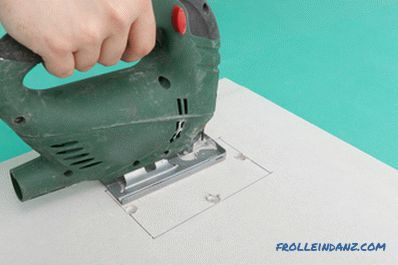 You can cut a round hole in a drywall with a regular knife. At the beginning you need to outline the shape of the future hole. To do this, you can attach a box from a socket, a switch or any other round object to the sheet of drywall and outline the contour of the future hole. Then the same outline should be noted on the back of the sheet. Both the first and second contours must match. Outline the contour of the future hole. Then use a knife to completely cut the cardboard layer. After cutting through the paper on both sides, lightly tap the plaster with a hammer. Hole is ready. Now check if the electrical box is included. Method 2. 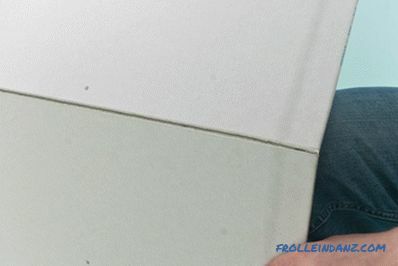 If you want to make a hole in an already installed drywall plate, you need to use another method. 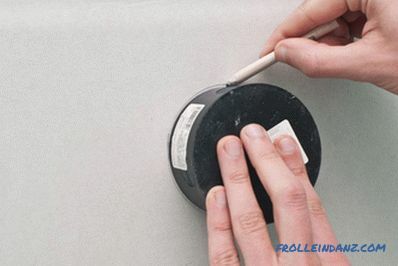 Draw a circle on the drywall, circle the switch box or the socket on the contour with a pencil. Before cutting a hole in drywall, make sure that there are no pipes and electrical wires in this area. Also make sure the box is in the right place. Then, using a drywall saw, cut a hole in the slab. 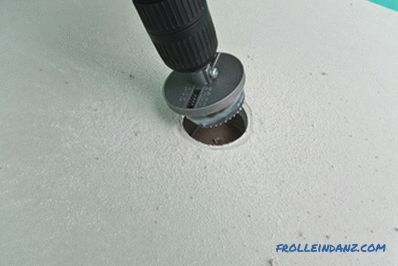 In order to make the hole even, punch drywall in one place and, starting from there, start cutting.